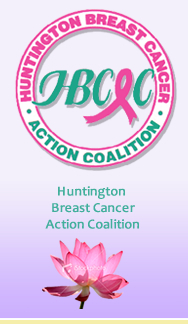 HBCAC Mission We are a not-for-profit grassroots organization dedicated to the ultimate eradication of breast cancer through education and awareness. Our mission is to focus on prevention methods while actively helping those who are faced with a positive diagnosis. Prevention is The Cure mission - INCREASE public awareness of environmental links to disease. GAIN support for the “Precautionary Principle” as it applies to public policy, URGE the public to demand more funding for environmental health research, and ENCOURAGE a “better safe than sorry” attitude toward personal lifestyle. 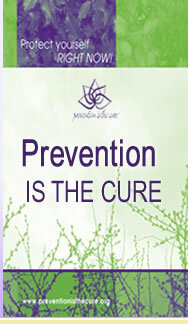 Click here to learn more about Prevention is the Cure. Mounting scientific evidence demonstrates that Lead poisoning, Endocrine disruptors, Air pollution, and Pesticides are the four types of toxins that contribute to the onset of disease.Why? 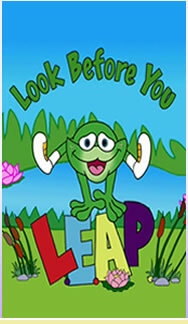 Look before you LEAP provides environmental health information in a manner that is non-threatening, age-appropriate and fun for children and families alike. up an evening with HBCAC!!! 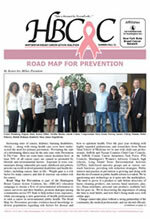 HBCAC applauds our community’s support during October breast cancer awareness month! …. And We Could Not Continue Our Work Without Our Friends!! The Breast Biologues is an award-winning, animated video narrated by Peter Coyote that explains how the normal breast develops and how exposure to potential cancer-causing chemicals at specific times during breast development may influence future breast cancer risk. The video is part of an educational toolkit that also includes a narrative comic book. It was developed by the Bay Area Breast Cancer and the Environment Research Center and zero breast cancer, one of four centers in the U.S. tasked with studying environmental causes of breast cancer by focusing on mammary gland development during puberty, a time when the breast may be particularly vulnerable to environmental influences. In 2010, the Centers transitioned to the Breast Cancer and the Environment Research Program, a nationwide network of grants jointly funded by the National Institute of Environmental Health Sciences and the National Cancer Institute. 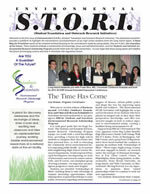 Welcome to our First Edition of Environmental S.T.O.R.I. This dedicated newsletter provides a platform to highlight the extraordinary accomplishments of our local high school students. No to a fractured New York! Our families deserve good health and clean water too! Our health is at stake; help ban hydrofracking. DO YOU KNOW WHAT’S IN YOUR SALES RECEIPTS? From Science to Society: CAN COMMONLY USED PERSONAL CARE PRODUCTS INCREASE BREAST CANCER RISK? April 21, The Greater Huntington Civic Group recognized Megan Hansen and Josh Solomowitz with a H.O.P.E. Award. The New NIEHS Strategic Plan announcement from Linda S. Birnbaum, Ph.D.